This is a sloper that is grounded against the 20M tower. I have this antenna tuned for SSB mainly so I can work DX on both modes or during MIX mode contests. It doesnt perform as well as the inverted vee but still works ok. 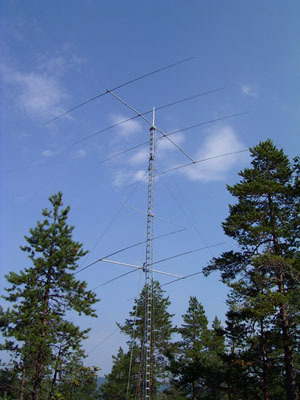 It is sloping against Europe and I have worked quite a few nice DX with this one aswell. If you look closely to the picture below you can see the sloper, even though it is a bit hard to discover. 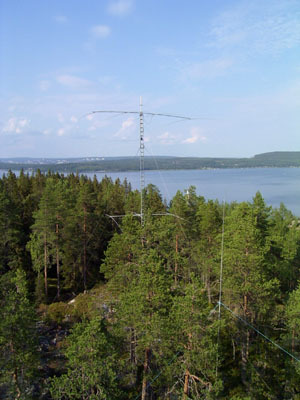 On picture two you can see it sloping against the 40m vertical also visible in the picture.